In an age when patients have access to incredible amounts of healthcare information via the internet, the world of medical communication is rapidly evolving. When searching for information about a physician recommendation, first impressions are often the deciding factor – people most often turn to Google to validate a doctor recommendation online before making an appointment. With almost all Americans owning smartphones or tablets, it comes as no surprise that a doctor’s digital presence plays a crucial role in attracting new patients; a doctor with 4.8 stars and 90 reviews is perceived as reputable and trustworthy whereas one with 3.5 stars and 8 reviews is more likely to be overlooked. So what constitutes a strong online presence? The first interaction a patient will likely have with a doctor’s information is the Google My Business page. 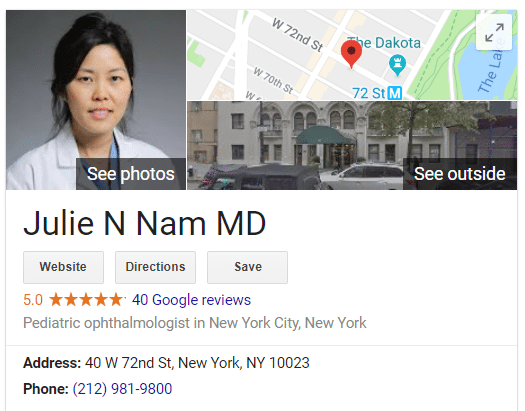 This page can work for or against you – a comprehensive, detailed Google My Business page (complete with a keywords, description of the doctor, office hours, professional physician portrait, etc.) will funnel patients towards the doctor’s website while a poorly developed Google My Business page will cause patients’ eyes to drift away towards other options. At minimum, every doctor should have this information filled out on the Google My Business page. Having a strong online presence makes it much easier for potential patients to get in contact with a doctor and move forward with seeking out care. For Google My Business tips, tricks, and best practices, visit here! 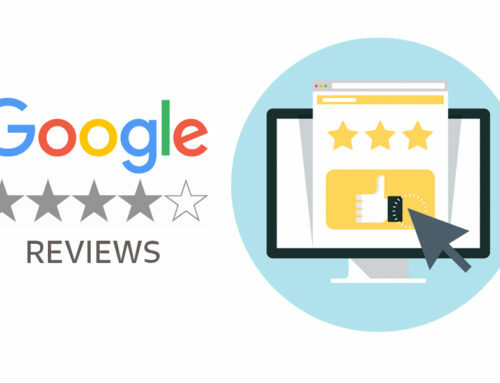 Want to Grow Your Google My Business Reviews and Ratings? Need Help Enhancing Your Google My Business?